We returned to one of our favourite Canadian holiday destinations this past December, The Post Hotel (Lake Louise, Alberta). Believe it or not, it was our first time there in the winter. 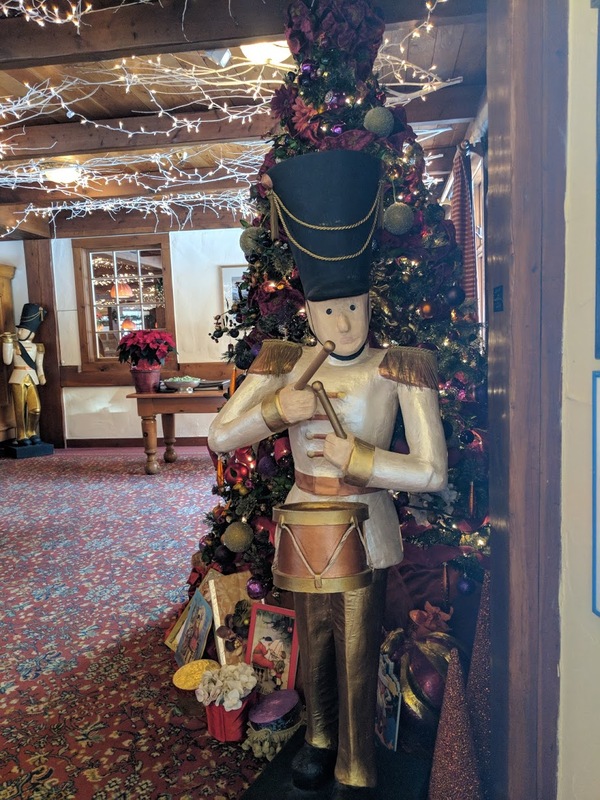 While not technically the Christmas holidays at least according to the school calendar – more mid-month – the spirit of the season was alive and well all around the tastefully-decorated hotel, including the dining room. Not only were lovely winter-wonderland features subtly incorporated into the room, like the white branches dotted with lights gracing the ceiling, the windows overlooked a lovely skating rink created each winter at the hotel surrounded by pine trees lit with more white lights. With the Rocky Mountains in the backdrop, even in nighttime silhouette, it’s as magical as it sounds. Here’s an overview of our festive dining experience at the Post over the course of our four-day December vacation. Our trip was shorter than in previous years, so we vowed to make the most of our dining – not at all difficult to do. In fact, at our very first dinner, we decided to go for it – cocktails followed by the six-course Gourmet Tasting Menu and Wine Pairing. The Wine Pairing was welcome new addition to the experience since, as with most tasting menus, it’s hard if not impossible to pick a wine to match the range of offerings. 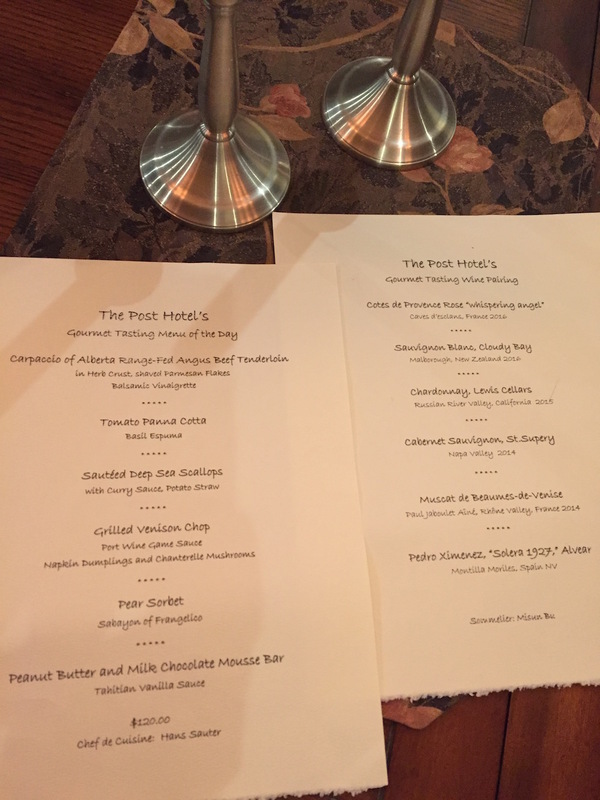 For instance, this particular menu featured both Carpaccio of Angus Beef Tenderloin and Sauteed Deep Sea Scallops with Curry Sauce — no wine solution on earth is going to solve that one. 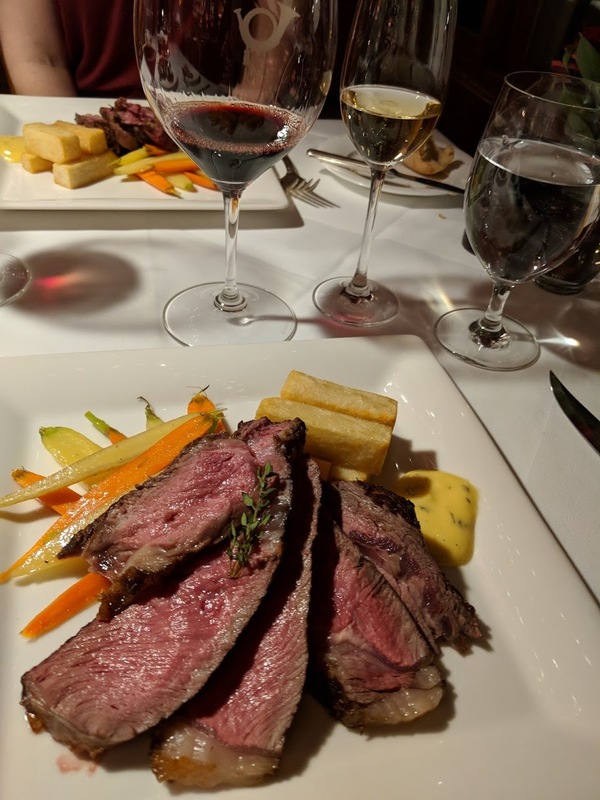 But pair the beef with a glass of Cotes de Provence Rose “Whispering Angel” and the scallops and curry-sauce with a beautiful California chardonnay (Lewis Cellars), and things start to make more sense to the taste buds. My favourite dish on this menu turned out to be the second course, a cold offering – Tomato Panna Cotta with Basil Espuma. It was creamy, rich and flavourful and matched very well with a crisp glass of New Zealand Sauvignon Blanc (Cloudy Bay, 2016). The venison chop was also lovely, served with a rich port wine game sauce, delicate napkin dumplings and earthy chanterelles mushrooms (so good!). This was paired wonderfully well with St. Supery Cabernet Sauvignon (2014, Napa Valley). I didn’t think I could handle much more, but I ended up being head-over-heels for the dessert, a warmed Grand Marnier and strawberry confection served with warm vanilla cream. Incidentally, this was a substitution for the Peanut Butter and Milk Chocolate Mousse Bar with Tahitian Vanilla Sauce to accommodate a nut allergy. For anyone with dietary concerns, the Post is wonderfully accommodating and able to make sensational switches so you don’t feel you’re missing out – it’s great! As the Tasting Menu was identical to the previous evening, we went in a different direction at dinner. Over the years, we’ve found the foie gras irresitable. That night, it was Pan-Seared Québec “Rougie” Foie Gras White Port Wine poached Apples, Celery Purée paired with a glass of Sauternes, of course. I sampled the Bisque of Atlantic Lobster with Diced Lobster, which was prepared with a root vegetable puree. Great with the sweet meat of the lobster! My main course was perhaps my favourite of the trip: Roasted Alberta “Valley Ridge Farms” Free-Range Chicken Breast, with Thyme, and Chicken Jus Gnocchi with Chanterelles. The chicken was incredible tender, juicy and flavorful. The gnocchi was fantastic, every one a rich, tender morsel balanced by the earthy chanterelles. For him — the Roasted Alberta “Driview Farms” Rack of Lamb with Herb Crust Lamb Jus with Rosemary Tomato, Spinach and Barley Risotto. The lamb was quite good, but the risotto was the surprising stand out, namely the barley which we were both a little skeptical about. It lent a heartiness to the risotto that seemed to make it better stand up to the lamb. Our wine was the star of the night, Realm Cellars, “Farella Vineyard” Coombsville 2013. Deep and delicious, it paired beautifully with both of our entrees. A nice find from the extensive wine list. We capped this wonderful meal with a scrumptious cheese plate accompanied by a very fine vintage port, Quinto do Noval 2000. Dark, bold and unctuous, the sommelier graciously cellared it afterward for us to enjoy the following few evenings of our stay. We were determined to work a bottle of fine champagne into our ‘fours days of Christmas’, and yet there were so many intriguing reds to choose from – what to do? With our final dinner already planned for Fondue Stubli, we treated ourselves on this last night in the dining room to an exceptionally decadent treat, a bottle of champagne, Krug, “Vintage Brut” 2000. Everything that sparkles in a glass wants to be this. 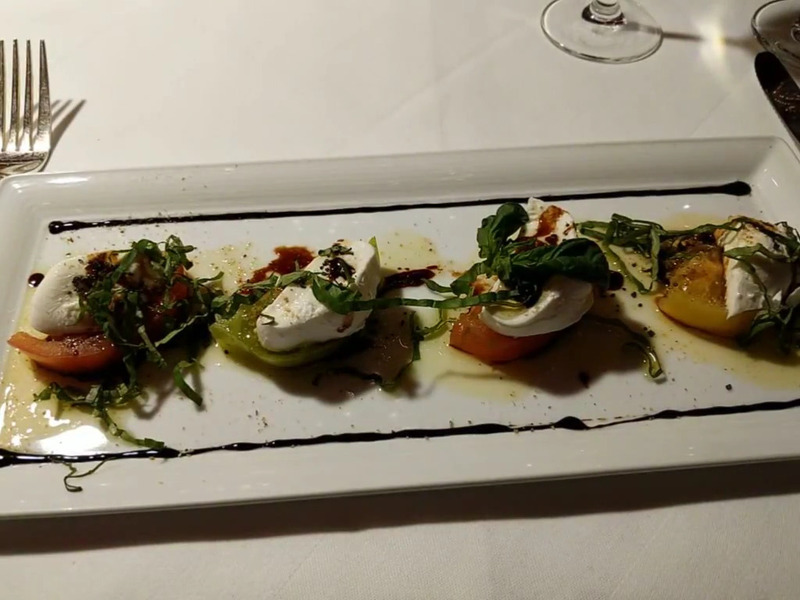 It was phenomenal and went beautifully with our first two courses: I had the Organic Butterleaf Lettuce Salad Mustard Chive Dressing; for him – the Alberta Heirloom Tomatoes with Buffalo Mozzarella Peppery Olive Oil and Aged Balsamic. 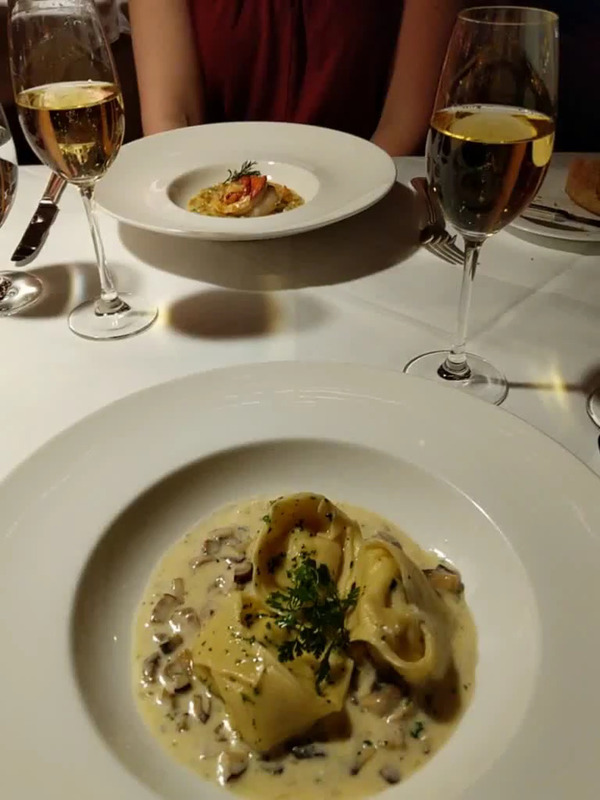 The salads were fresh and beautiful, but what came next was awesome: Atlantic Lobster Risotto with Salsify for me, and Homemade Cheese Tortellini Assorted Mushrooms in Creamy Sauce for him. I actually can’t believe we ate this much or this well. But when you embrace dinner as your evening entertainment, it’s really not that hard. Our main course was the evening’s special dish not listed on the menu. A rib eye prepared for two with port wine sauce, bearnaise, market vegetables and roasted potatoes. To complement the rich beef and sauces, we enjoyed Chateau Trotanoy (Pomerol 2005). It had a gorgeous deep colour, matched with deep tastes. Very rich, smooth and wonderful. Tucked away just off the Post’s main dining room in a nook that was once a cigar room, you will find Fondue Stubli, where magical pots of melted cheese and chocolate and charcuterie boards heaped with treats will bring you comfort and joy. As you can readily see, it’s incredibly generous, and beautiful to look at – to say nothing about its deliciousness. The pates prepared in house are particularly wonderful, and the other meats and cheeses scrumptious. 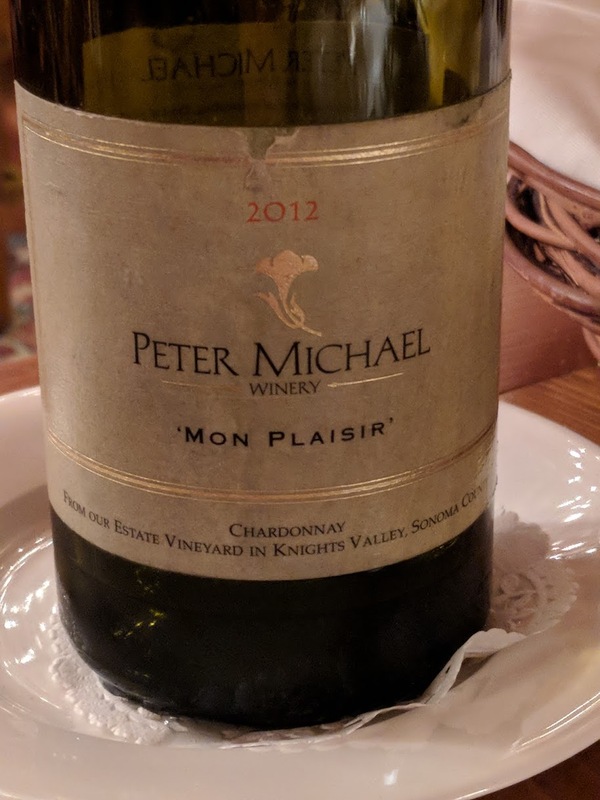 We paired this and the much anticipated traditional cheese fondue with a bottle of Peter Michael Mon Plaisir 2012, a chardonnay that was at once rich and fruity. 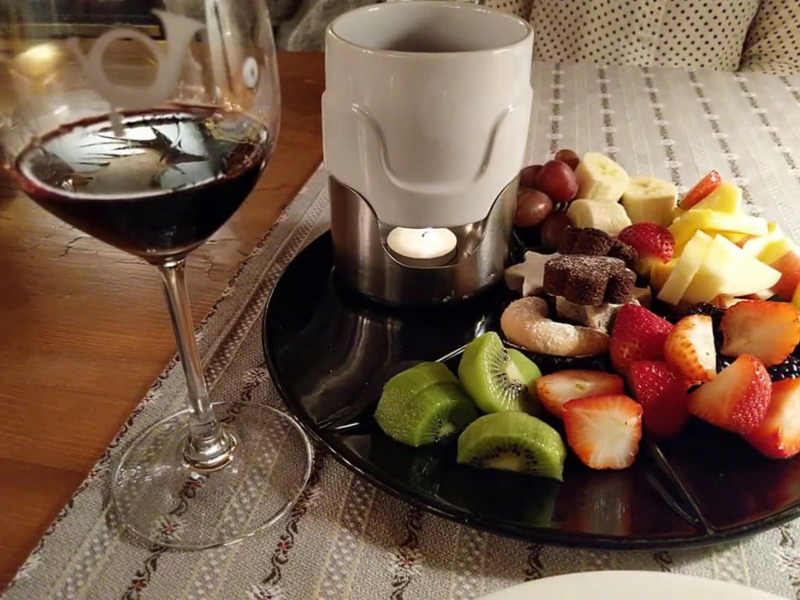 It tasted like a summer day but matched perfectly with the wintery, mountain-top fare in the fondue room. 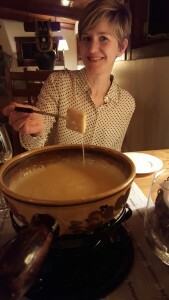 The Traditional Swiss Cheese Fondue is also remarkably generous. 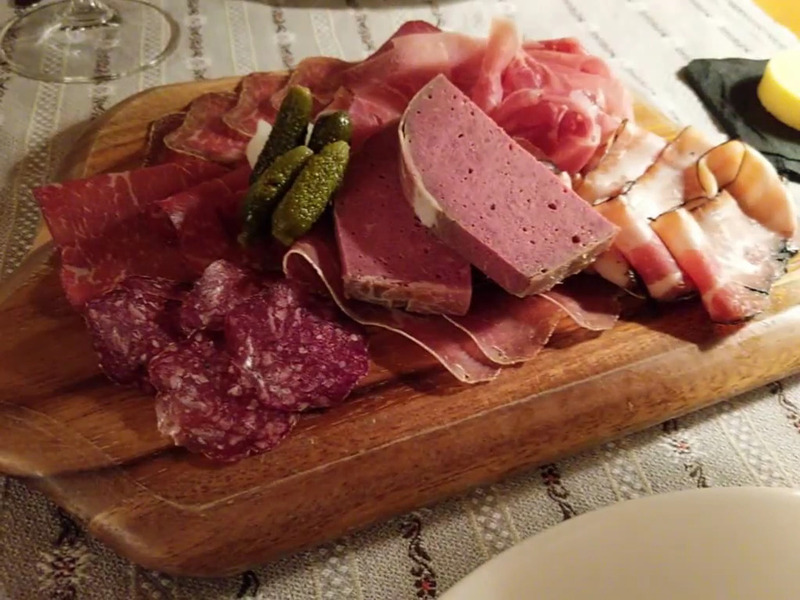 It could easily feed a hungry table of four, although we did very well considering it was just two of us – and we had the charcuterie to start. The fine cheeses and preparation make this the best cheese fondue we’ve ever tasted – as the Swiss intended. It was a whirlwind of winter wonderland and gourmet food and wine to warm us each night. We would readily return to the Post at this time of year, and highly recommend it! 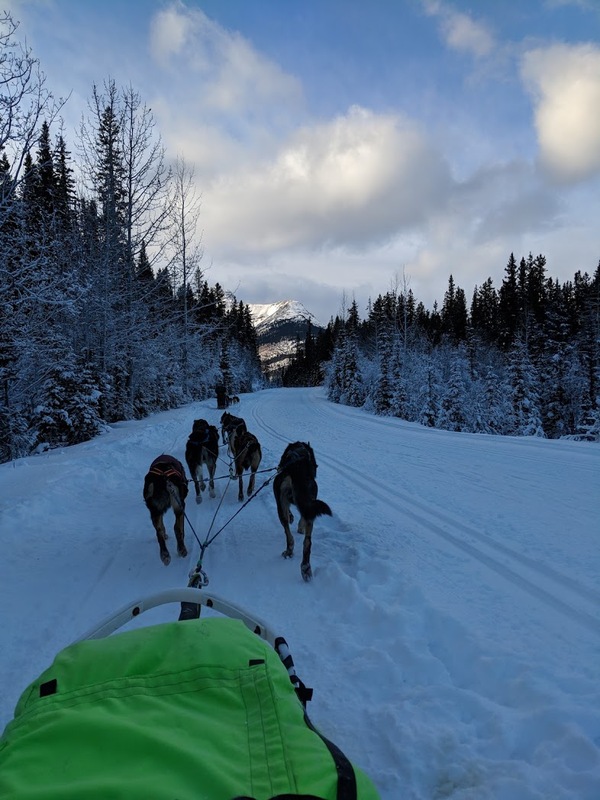 If you’re looking for a unique way to experience the Canadian Rocky Mountains in the wintertime, consider booking a dog sled tour with Kingmik Dogsled Tours. This is a world class operation, spectacularly done from start to finish. 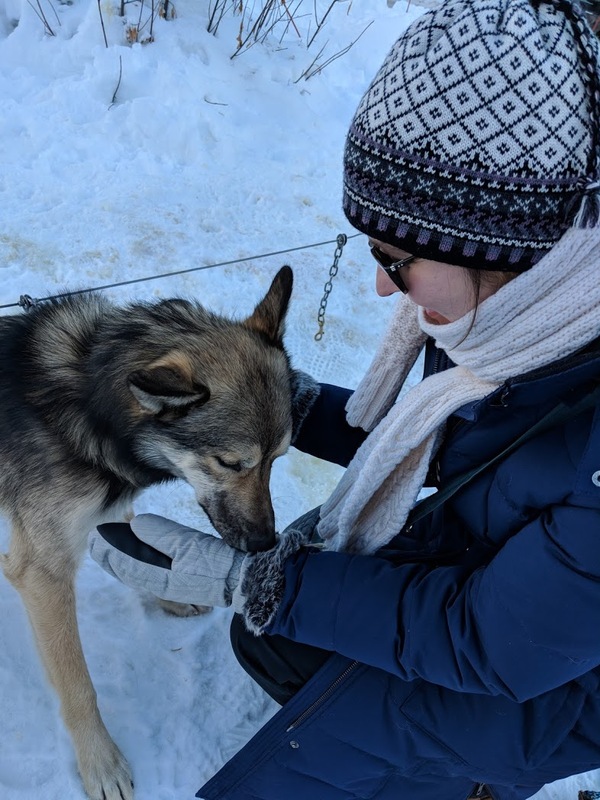 First and foremost, the moment you arrive for your tour and see the gorgeous Alaskan Huskies waiting eagerly to get going, you know and see how well-treated, well-cared for, happy and loved they are. Each dog is beloved and treated like the unique creature he or she is. The guides and operators of Kingmik are special people with special relationships with each dog, and you see this immediately. And of course, you’ll be taking in some of the most breathtaking views in the world from an utterly unique vantage point. A short drive from our stay at the Post Hotel in the village of Lake Louise, we arrived for our 2:00pm Great Divide Tour a bit early (the whole tour was about an hour and a half, a 10 mile trip). This meant we had some time to greet the dogs, pat, play, and fall instantly in love with each of them. It was fascinating to watch the dogs interact with each other, gobble down their food (they eat like 8,000 calories a day – fat, protein – amazing! ), and of course just how friendly and playfully they greeted us newcomers. Before the tour began, we were rounded up for a brief orientation and some facts about the dogs. Besides their insanely high-caloric diet(! 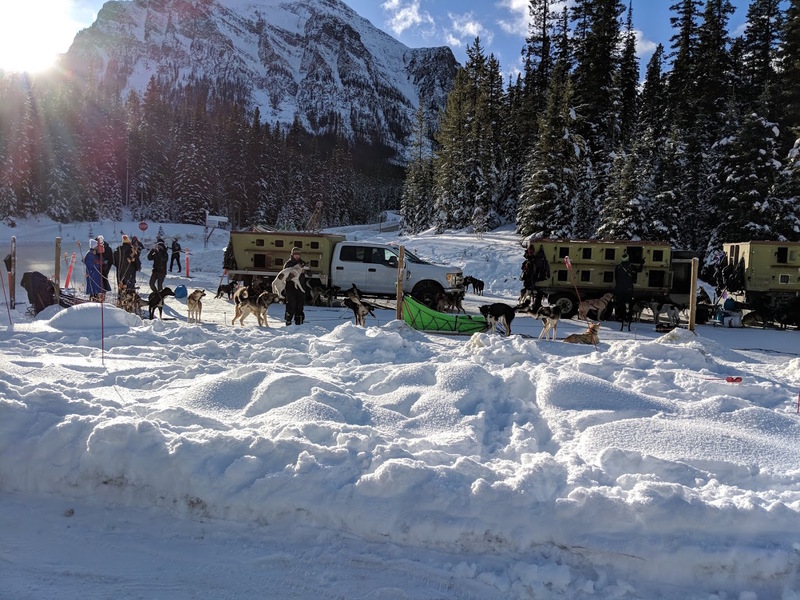 ), we were impressed to learn that the dogs themselves determine their retirement and are not pushed beyond what they show the guides they are able and interested in giving. In these cases, adoptive homes may be sought, but the retired dogs often live the rest of their lives at the Kingmik kennel property in B.C. – which sounds amazing, and which you can arrange to visit. (We didn’t visit this trip, but would sure love to see this side of the operation!). 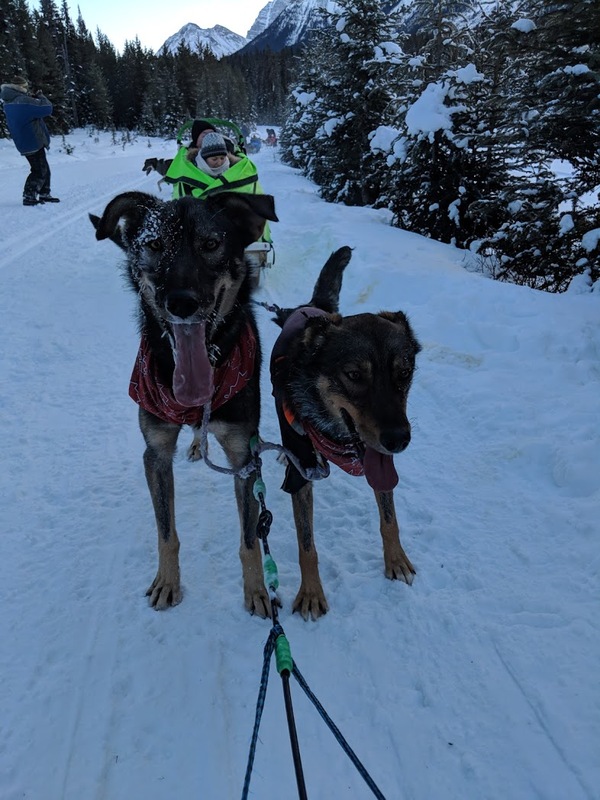 The other interesting fact that was shared: Siberian Huskies, the breed often featured in movies about dog sledding, are not the same nor in the same league endurance wise as the Alaskan Huskies who pull the Kingmik sleds. You’ll see all kinds of coat colouration, and eye-color – all sorts of beauty! In fact, they are not an officially-recognized breed – but these are the dogs of the Iditarod, and the working dogs with a long history in northern villages. After the orientation, we were bundled into our sled-for-two. (While it’s a cozy vessel, be sure to dress warmly. You’re not moving much during the tour and this can result in cold feet and hands (etc.) without the proper gear!) A this point, the baying and barking was deafening — and the dogs’ energy was contagious. They clearly wanted to go and get out there already. And once they began, like magic, it was silent except for the swoosh of the sled through the snow. The dog sled was pulled beside a cross country ski trail, another way to see this beautiful bit of land. Our guide Kylie was wonderful: full of experience, information, humour, and a genuine love of each dog in the seven-dog team pulling our sled. We heard funny and touching stories about each of them. The scenery on the way to the Great Divide Arch was unparalleled. With spectacular now-capped mountains rising on all sides, it was in fact the trees that were the stand-out stunners that day. Frosted with gingerbread-icing snow, it was like zipping along through thousands of Christmas trees. According to our guide, this sight is not all that typical, but recent conditions that alternated between cold and warm and snowy created the perfect Christmas card clinginess we saw all around this. Of course, without this there would have been other visuals to rhapsodize about, but we certainly felt fortunate! Kingmik dogs taking a well-deserved break! After turning around at The Great Divide Arch, we got out to stretch our legs and visit with the dogs. We were then each given an opportunity to drive the sled with Kylie. Wow – standing to drive the sled and drinking it in from this vantage point was an entirely new feeling. 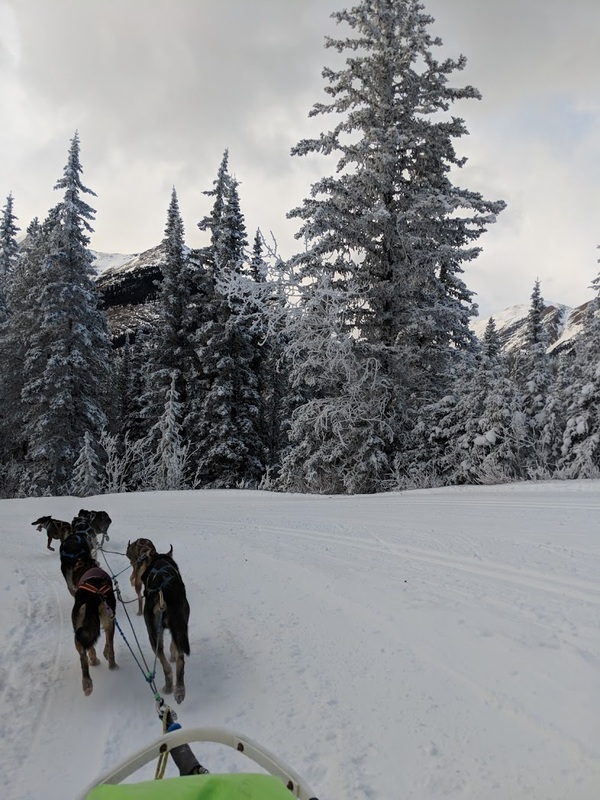 There was a different sense of the dogs’ power and tangible connection to them. An amazing, once in a lifetime experience! 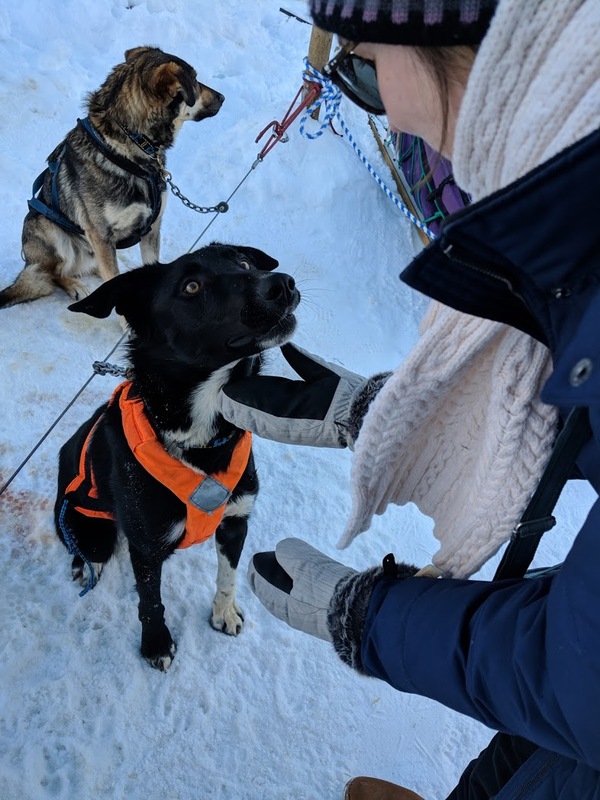 A thank you to everyone at Kingmik Dogsled Tours, to our amazing guide Kylie, and of course to our team of Alaskan Husky supestars – Two-Step, Yorkie, Growler, Vargas, Sneetches, Who, and Horton (oh Horton!). This was an exceptional experience on all levels, and one we will never forget! Lake Louise at peak tourism times in the summer is known to have stand-still, bumper-to-bumper traffic winding down from the lake all the way to the town site about 4 km below. Why spend your precious vacation time stuffed into your car? These extreme traffic jams may not be daily occurrences, but summer time (even on the least busy day) ensures bustling crowds at the lake shore as day-trippers congregate for their alpine photo-ops. In early October, however, a quiet, easy-going stroll minus the urge to sharpen your elbows is more than possible. 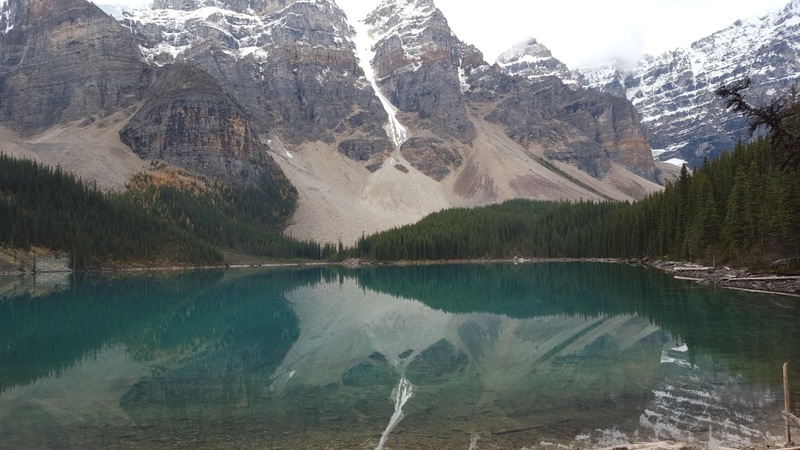 The same can be said for nearby Moraine Lake, accessible off the main road to Lake Louise. Packed with crowds in the summer, the majestic, peak-encircled lake whose image once graced the Canadian twenty-dollar bill can be enjoyed in relative serenity. The summer tourism season officially ends immediately after Canadian Thanksgiving Monday (around mid-October – this year, Monday October 12). After that, many operations in the area come to a virtual standstill; for instance The Post Hotel where we spent our week shuts down completely for several weeks in preparation for the ski season. Until then, however, you can enjoy the activities, services, and experience everybody seeks out in summer – but without the ‘everybody’. We were thrilled to learn that the Lake Agnes Tea House would be open during our stay. Taking advantage of the glorious near-summer-like weather on the first full day of our trip, we drove up to the lake then hiked for an hour or so up the mountain trail to the rustic tea house for refreshment. We enjoyed a piping hot pot of Early Grey (the menu boasts over 100 tea varieties), munched on yummy sandwiches made with fresh-baked bread, and ended with homemade chocolate chip cookies. Best of all, we easily secured a table on the tea house’s deck overlooking the lovely Lake Agnes – without feeling in the least bit crowded or rushed. On a summer trip to the mountains, you’re probably hoping for a day or two when you can strip off that fleece layer and enjoy a mountain picnic in your shirtsleeves. In winter, of course, it’s all about that perfect dusting (or dump) of snow. But mountain weather is notoriously variable, so you can almost count on having to change your plans. Autumn is different. We all know it to be a season of transition, so right away it’s easier to embrace unpredictability. You may be blessed with a few summer-like days (as we were), and if so – great! 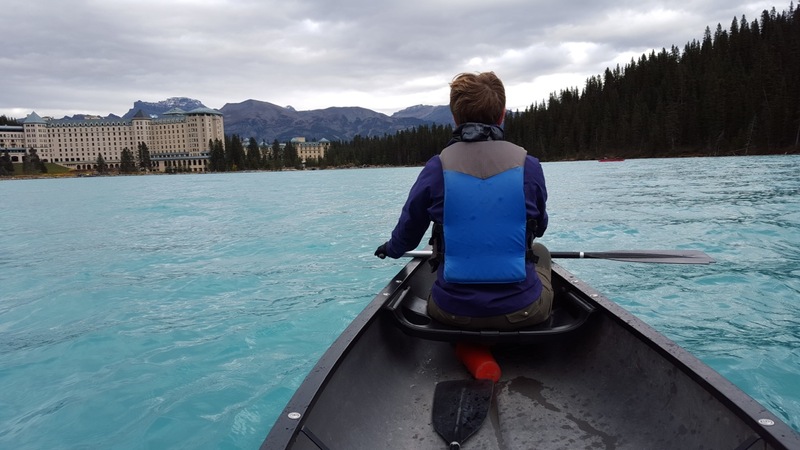 Take a longer hike, rent a canoe from the still-open boathouse and paddle the Lake, take a meandering drive headed for Banff on the scenic Bow Valley Parkway, or maybe go on that picnic wearing shirtsleeves. On the other hand, it could be snowy or cold or both. You know you’re not going skiing, but you can enjoy the chalet-atmosphere of many of the accommodations. On a few chilly afternoons at The Post, we took full advantage snuggling up by the wood-burning fireplace in our room. When we felt more social, we sat on cozy sofas and overstuffed chairs in the hotel’s front lobby for the hotel’s daily complimentary tea and coffee services (for guests only). There was also the option of having a beverage in the Sir Norman lounge by its large stone fireplace. 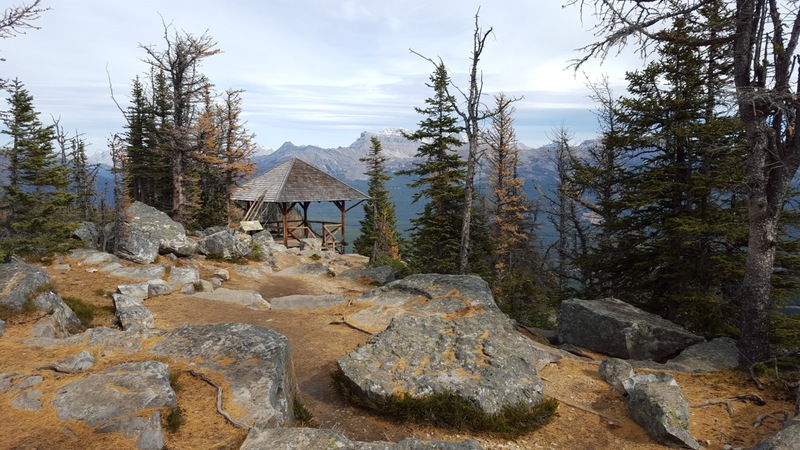 And if you get the timing right, whether the temperatures are warm or cold, autumn in the Lake Louise area might offer you something you will never see in July or February – mountainsides painted yellow and gold as larches and aspens turn colour. Contrasting with the dark evergreens, cool slate of the mountain rock, the brief glimpse of golden tones is truly breathtaking. Dining is always a first-class experience at The Post. But the menu is also hearty and generous. Rich, sumptuous options like Quebec Foie Gras, Veal Stroganoff, Lobster Risotto, and five-course tasting menus can be enjoyed year-round, but are more suited to bracing temps. Begin with a drink in the Sir Norman lounge by a warm, crackling fire, and the rest of the evening is sure to fall in place. Any description of the dining at the Post would be incomplete without a mention of its incredible wine cellar. One of the most extensive in Canada and winner of a prestigious ‘Grand Award’ from Wine Spectator, any wine-lover passing through Alberta must make a stop at The Post. We sipped such rarities as the Hermitage (Jean-Louis Chave) 2009, the Leonetti 2010 Cabernet Sauvignon, and even a Australian ‘Sticky’ Tokay. 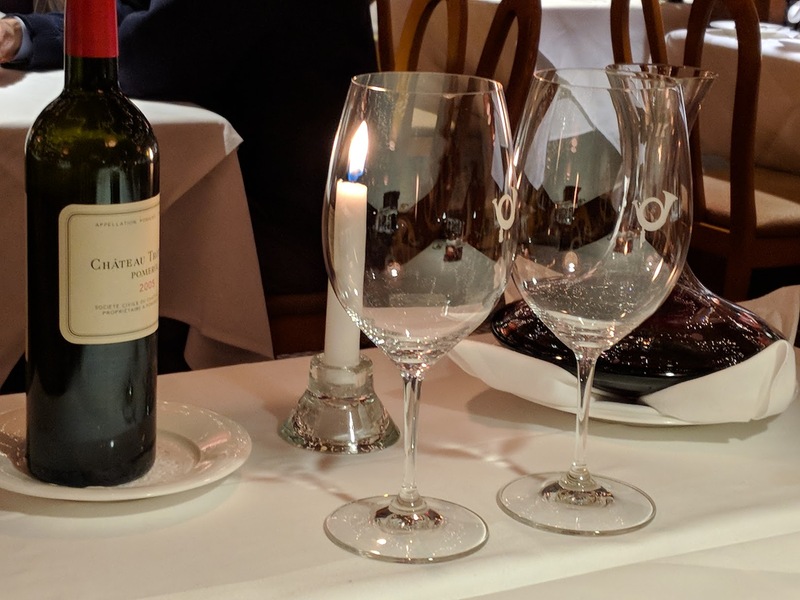 We appreciated long conversations with the restaurant’s knowledgeable sommelier as well as a private tour of the cellar’s remarkable collection. The Swiss mountaineering influence is everywhere in the Lake Louise region, from the fascinating historic photos lining the Post Hotel’s walls to the heritage signage around Lake Louise itself. But the tastiest tribute by far is the traditional cheese fondue. 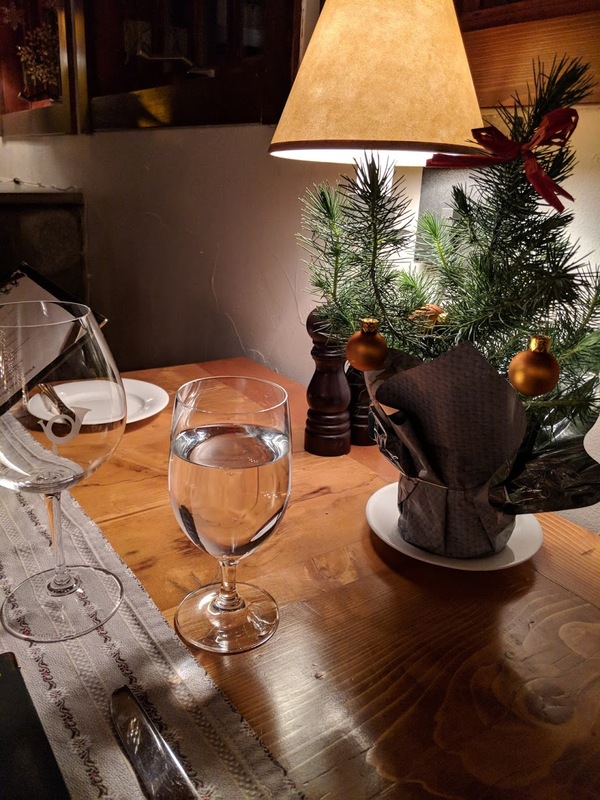 We’ve spent many holidays at Lake Louise, and have always planned on at least one dinner at the Fairmont Chateau Lake Louise’s Walliser Stube. It’s impressive woodwork interior and even more stunning views of Lake Louise can’t be beat, but this year we discovered that it’s food can be. The Fondue Stubli has recently opened at the Post Hotel in the intimate setting of the former cigar lounge. Fondues are not all alike, and the meal we were able to enjoy prepared by executive chef Hans Sauter is one that eclipses our fondest Chateau experiences. 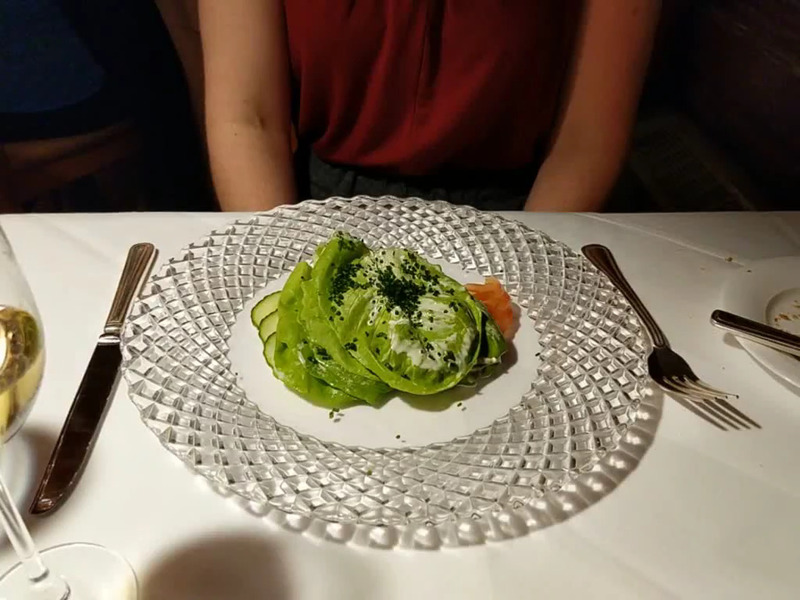 Everything from the portions (huge, generous), to the unforgettable flavour and textures (rich, sharp, smooth), access to the Post’s seemingly-endless wine list, to the service (impeccable and friendly) stood head and shoulders over the Walliser Stube. I should note that in addition to the unforgettable food and presentation, we had the place entirely to ourselves. Now this surely wouldn’t happen at the height of summer or in the depths of the winter ski season, would it? If you want to ski, then yes – don’t go to Lake Louise in early October. But if you want to hike, paddle, picnic, drive, eat, relax – basically do all the things you’d do anyway in summer but without the crowds, book your 2016 trip now. 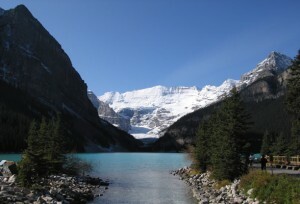 Lake Louise is a majestic alpine lake nestled at the foot of Victoria glacier. The jewel-like color of the lake makes it truly a wonder of nature, and a worthwhile stop on any trip to the Canadian Rockies. 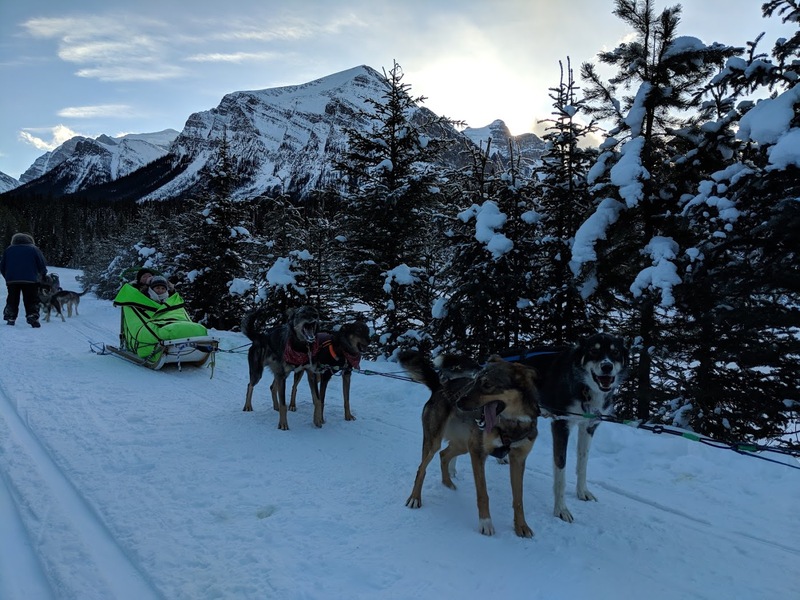 There are many ways to enjoy this incredible site, day-tripping being a popular option for those staying in Banff, Canmore, or nearby campsites. Simply strolling around the paved area in front of Lake Louise to take in the view is an immensely enjoyable experience. You can also rent a canoe in the summer and take a casual paddle around the blue-green water. If you want a more vigorous walk or a different perspective of the area, you can choose from a number of hiking paths with trailheads beginning at the lake. Take an easy walk down the paved path at the lake’s edge, or hike one of the more challenging sawback trails that take you into the forest, some passing smaller alpine lakes along the way. Two tea houses, undetectable from the lakefront, are nestled in the mountains that border the lake. Refreshment paired with spectacular bird’s-eye view of Lake Louise is certainly worth the climb. Speaking of refreshment, another way to spend a most pleasant afternoon is to take afternoon tea in the famed Fairmont Chateau Lake Louise’s Lakeview Lounge. The lounge overlooks the lake and provides an amazing view of Victoria Glacier. First-class elegance and an unparalled view will create lifelong memories. Day trips are just the beginning of what you can do at Lake Louise. You can certainly make Lake Louise your Rocky Mountain vacation base. World class accommodations, fine dining, and elegant spa services are available at the Chateau and the nearby Post Hotel (located in the town of Lake Louise, not a five minute drive from the lake itself). Other hotels and accommodations are also available nearby. Lake Louise is a popular ski destination in the winter months. And there are nearby alpine lakes to explore, such as Moraine Lake. 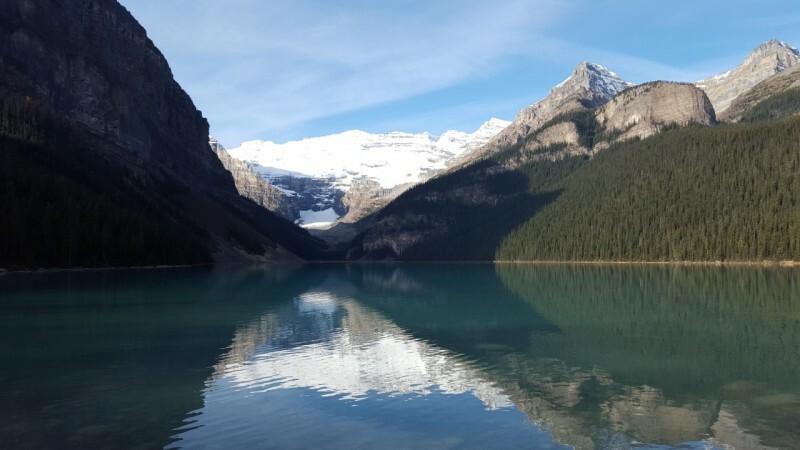 Whether Lake Louise is your base or a must-do along your Rocky Mountain path, getting there can be just as breathtaking as visiting the lake itself. If you are driving from Banff, you might consider taking the Bow Valley Parkway, which runs parallel to the Trans Canada Highway. This quieter, meandering highway follows the Bow River, and offers more opportunities for scenic views, wildlife spotting, and mountain hikes. Despite the crowds that you may find on a day trip to Lake Louise, the beauty of the location seems to inspire calm and wonder in everyone. Though you may be surrounded by others, you will also find a sense of peace and solitude, which is certainly worth the trip. 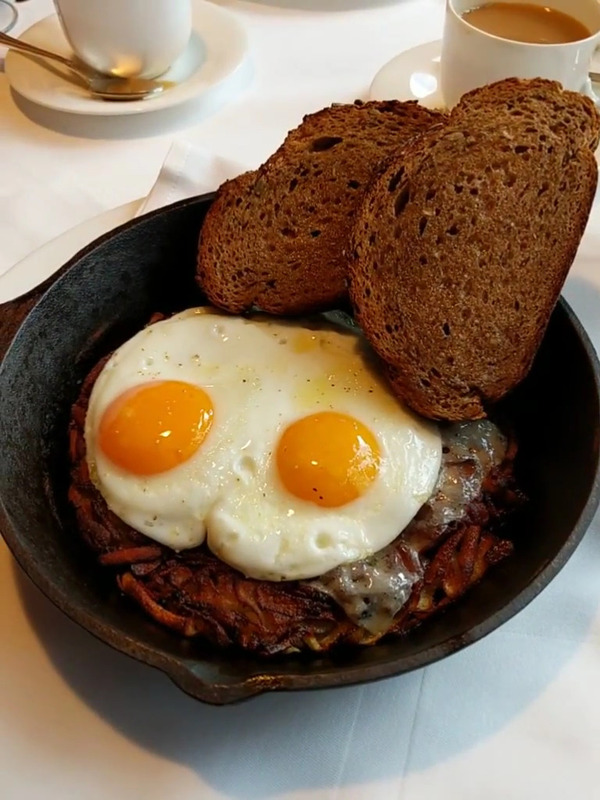 The tastiest tribute to the Swiss mountain guide tradition of the Rocky Mountains is the Walliser Stube restaurant at the Chateau Lake Louise. Offering a “traditional Swiss menu” centered on decadent cheese and oil fondues, and raclette, along with an array of tantalizing appetizers, salads and desserts, the Walliser Stube is ideal for dining après ski. In fact, we recommend dining here après anything you do at Lake Louise since it is difficult to think of an inappropriate time to consume a large pot of melted cheese. 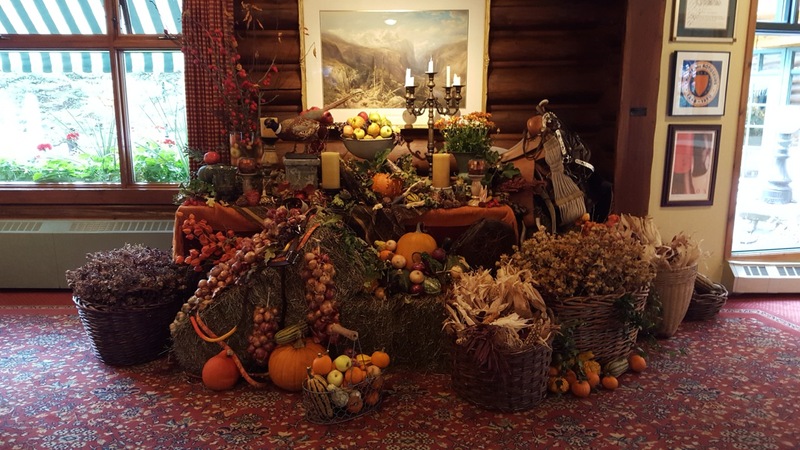 We have made the Walliser Stube a “must” on our visits to the Chateau Lake Louise. The food is certainly central to the experience, and the fine, knowledgeable servers certainly add to our enjoyment. Our perennial favorite is the traditional cheese fondue – a velvety blend of fine Emmenthal, Gruyere, and other rich cheeses served with cubed French baguette and steamed vegetables. (We have attempted to replicate or at least approximate the recipe on our own, but have never quite succeeded in sustaining the impossibly smooth texture of the Walliser Stube’s cheese fondue). We have certainly learned that nothing pairs better with the smooth, hot, rich cheese than its complete opposite – a crisp, cold, fruity Riesling. We’ve enjoyed a number of good wines here, most recently a Canadian Riesling from Cave Spring Cellars (Niagara Peninsula). 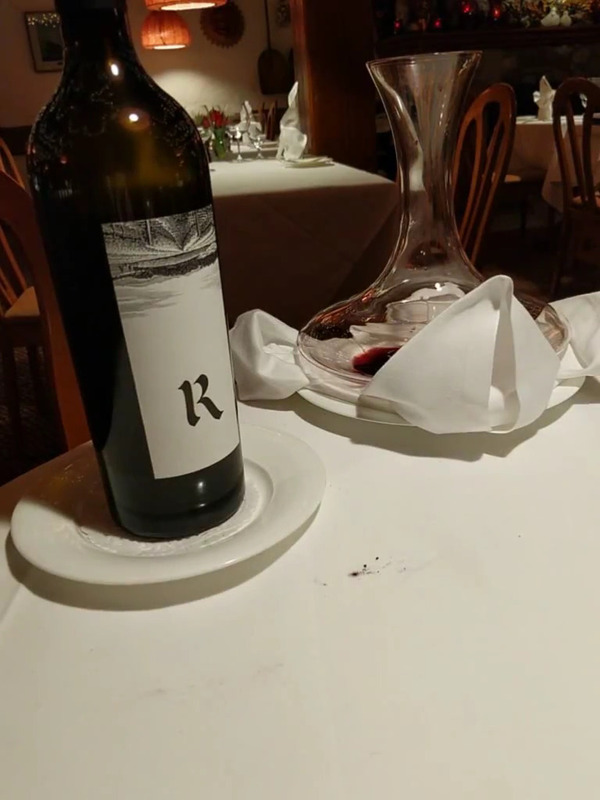 The wines are a literal “feature” of the décor stored as they are in a glass case that comprises the entire width and height of one of the dining room’s wall. The rolling, wooden loft ladders add to the charm. The Swiss fantasy is interrupted only by the fact that rather than the Alps, the restaurant’s large windows reveal the majestic Rockies and the dazzling glacier-edged Lake Louise. There is something supremely comforting and satisfying enjoying one’s hot, indulgent meal at the Walliser Stube while gazing at the chilly, ice-blue lake setting. We recommend that you visit the Walliser Stube, and kindly request that if you manage to eat something other than the cheese fondue to let us know about it. We’re sure that you will enjoy it, and we are tempted each time to try something new. The descriptions alone of the seafood and meat oil fondues – Cleopatra Caesar Salad, and Traditional Swiss Raclette – never mind the sight of these decadent dishes being served and savored all around – are enough to make us second guess for just a moment the comforting choice of our favorite dish. But, alas, dreams of cheese throughout the year bring us back to the same, happy conclusion each time. Our only “departure” on this last visit was to try the Bunderteller – a gorgeous charcuterie board featuring smoked, dried meats, swiss cheeses, and sharply flavored gerkins and hot peppers. Will we be adventurous next time? Probably not. Will we enjoy ourselves thoroughly? Absolutely.